Magnolia Bakery at 108 N. State Street, right across from Macy’s, has just opened its doors and is certified by Kosher Michigan, a supervision agency headed by Rabbi Jason Miller. Even though the Kosher Michigan label is based in Detroit, I am thrilled that Magnolia is under the direct hashgacha (supervision) of Will Kaplowitz, a member of Anshe Sholom and someone whom I trust fully. I have concluded that Magnolia Bakery in Chicago fully meets the Kashrut standards of the Anshe Sholom community. All the products should be considered dairy, and may be enjoyed at the bakery or at home. Magnolia is a chain that standardizes all of its products and ingredients, and the five Los Angeles stores are under the top-notch supervision of the Rabbinical Council of California. Those same ingredients are used at the Chicago bakery. Will has checked out everything in the Magnolia bakery in Chicago, and he confirms that every ingredient is under strict rabbinical supervision, including the hot drinks (with the exception of unflavored coffee and plain cocoa powder, neither of which need supervision). All dishes and utensils in the bakery were bought new and were never used before it opened as a kosher institution. In Los Angeles, as in Chicago, Magnolia is open on Saturdays. However, there is no issue eating Magnolia’s products (at any time when the eating of chametz is permissible) because Jews are not doing the baking, and they are not baking on Shabbat for Jews in particular. I have met with Rabbi Miller, and reviewed with him the strict contract he has with the bakery. The contract forbids the bakery from mixing any outside ingredients with the products they sell, and requires employees to keep personal food away from the kitchen or baking area. 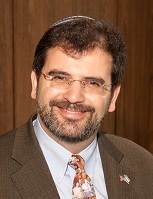 Even though Kosher Michigan has been supervising kosher institutions in the Detoit area for four years already, in Chicago it is a new supervision. I am impressed by both Rabbi Miller’s sincerity and earnestness, and his willingness to consult Orthodox authorities on halachic issues (he himself has ordination from JTS). It means a lot that his mashgiach on site is one of our most respected members, who is knowledgeable, observant, and in close contact with me. I will continue to be in touch with Rabbi Miller and Will to constantly confirm the reliability of this new supervision. To reiterate, at this time, Magnolia Bakery in Chicago fully meets the standards of Kashrut of our community here in Lakeview. Please note that Ashkenazic Jews are strict about only eating Pat Yisrael – Jewish baked breads – between Rosh HaShana and Yom Kippur. Since the baked foods in the bakery are baked by non-Jews, one should wait until after Yom Kippur to eat their products. After Yom Kippur, I would personally eat their products, both in the store and take out.